The Provencal kitchen – marks of time, simplicity and romance – a country kitchen with the homey atmosphere of the past. The origin of Provencal kitchens is of course Provence in the south of France, in the area bordering the sea and known as the “garden of France”. This area is blessed with fertile soil and a warm, caressing sun. 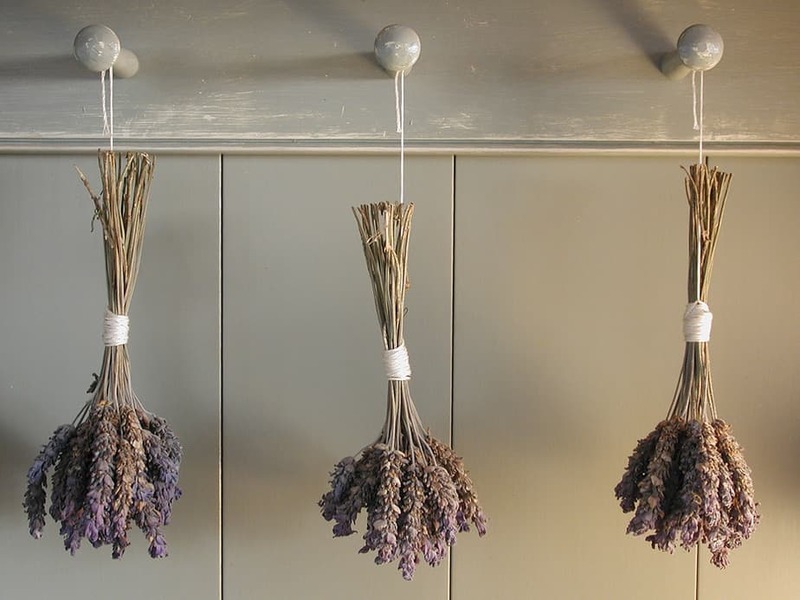 Lavender fields give it aroma and sunflowers and olive trees give it a special and unforgettable character. This area is synonymous with a strong culinary tradition, casserole cuisine, good wine and markets with abundant fresh local produce. Inside a typical house or a country restaurant by the side of the road one will find a warm family milieu and an old-timey romantic ambience. At the heart of the house is a spacious, rustic kitchen with a strong presence where the family gathers for a relaxing meal at the end of the day. The warm atmosphere may be complemented by printed curtains, baskets of fresh vegetables and climbing vines that peek in through the shutters as the sun sets. The Provencal country kitchen is a functional kitchen, designed to comfortably serve the residents of the house and its guests. In the old stone houses characteristic of Provence, one may find exposed stone walls, rough-worked ceiling beams of local oak, tiles, a plethora of cabinets, solid wood work surfaces, terra cotta or rustic oak floors, and curtains and cupboards in pastel colors: olive, lavender, rosemary, ocher, beige – colors that reflect the sea and the landscape of the region. We use milk paints – natural water-based paint in lively colors, and varied hardware which we import from abroad. Unlike the modern kitchens we know, this style kitchen makes no attempt to conceal kitchen utensils, raw ingredients or cookbooks. It is deliberately designed to make all these accessible to the cook as well as to the family, visitors and guests. The material most associated with the Provencal kitchen is of course wood. Other materials are stainless steel, wrought iron and other metals in various colors and textures. These are integrated in traditional Provencal elements such as decorative hardware, external hinges and matching handles, etchings, assorted trims in windows and doors and more. The Provencal country kitchen has an old-world look on which passing time has left its mark. Nonetheless, this kitchen retains its youthful charm and vitality. It lives, breathes and thrives, in the south of France and all over the world, as well as in Israel. Touchwood preserves the character of the Provencal country kitchen and matches it to the people who will use it, the materials they choose and the local style of hospitality. 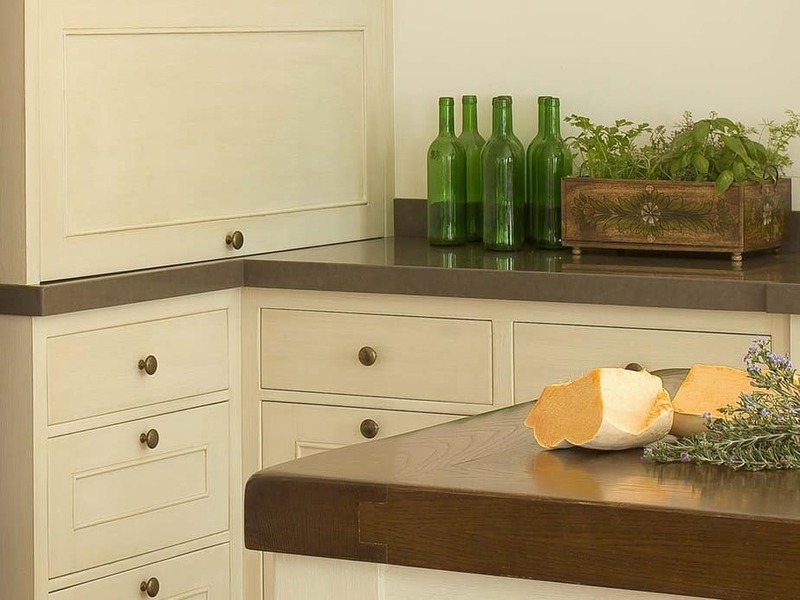 We design and build kitchens in this style that are faithful to the original Provence traditions.